Strategically and appropriately located in the Land of Legends, Gujarat, Panch Pandav Gufa has its own stories to tell. People belonging to the Hindu faith come to see this temple from far off places and offer their prayers in all earnestness and reverence. Gujarat with its age old history and traditions apart from monuments and rich cultural past provides the temple, its utmost sanctity. 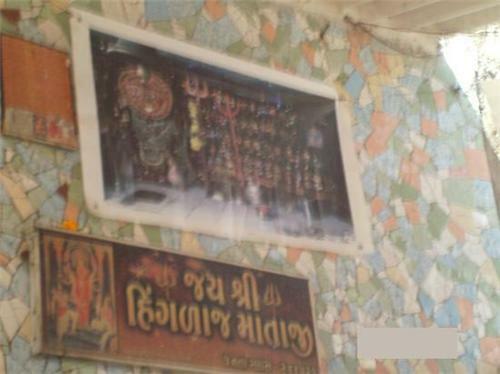 The temple is located in the Lalghati close to Somnath near Veraval and has supposedly been constructed in 1949. The person who had been responsible for the construction of the temple is Late Baba Narayan Das. He had been the sole figure responsible for the foundation of the temple. As the name of the temple indicates the temple is essentially famous because of the five Pandavas- Yudhisthir, Arjun, Bheema, Nakul and Sehdeva. It is widely believed that the five of them had spent considerable time in the premise during their period of exile. Along with the deities of the five Pandavas, the temple also has provisions of worshiping Lord Rama, Goddess Durga and Lord Shiva. Since the temple is located at a considerable height over the hill top, it can be seen from the town nearby and the magnificent view of the nearby beaches and the beauty around it can be seen from the temple precinct gloriously. It is one of those places where nature’s beauty amalgamates with the serenity in the temple and provides the much needed peace to the soul. 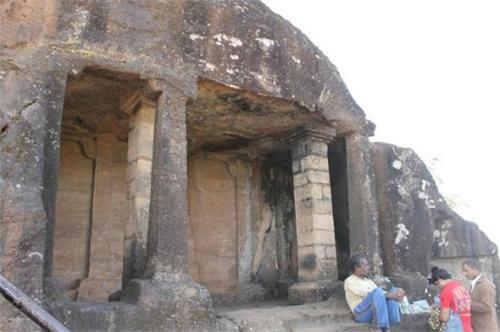 The Pandava Caves are also referred to as the Aravelum Caves. The place is loaded with some great mythological tales. Some believe that the worship and prayers of the Pandavas had generated the power of Lord Shiva in the caves which is still present in the caves for which people come from distant lands to experience it and be blessed with it. Despite numerous invasions of the Muslims during different periods in history, the caves have been able to maintain its sanctity and continue to attract thousands of pilgrims each year. Apart from the pilgrim places, the region is also famous for some of the other attractions like the Junagarh Gate which serves as a significant entry point for the city. The Pandava Caves are now used as a Sanskrit College which has numerous scholars, students and religious teachers visiting it from all parts of the world making it one of the most exciting hubs of Sanskrit learning in the nation. The place is greatly connected through road and rails with Veraval being the closest town to it. People wishing to come through trains can get down at the Veraval railway station which is 7 kms away from Somnath. People coming from airplanes can land at the airport in Keshod which is nearby Somnath. From the airport one can take bus or cab to reach the Gufa. As far as traveling by road is concerned, people can take buses, private vehicles and also the humble auto rickshaws from Veraval via which they can arrive at Panch Pandav Gufa.